It’s becoming commonplace for hospitals to offer robotic surgery, as many are ramping up their facilities and dedicating entire suites to this evolving method of surgery. 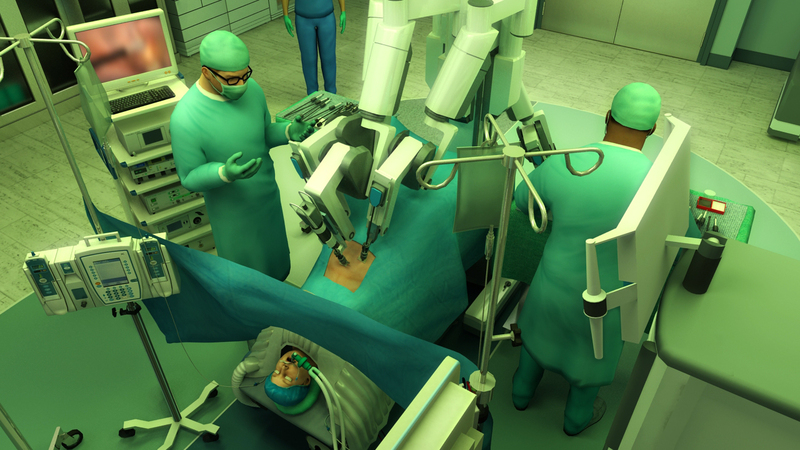 This poses new challenges for medical professionals as there’s a lot to learn about the technology, procedures and refining the skills needed to operate the surgical robot. As a result, the American Society of Anesthesiologists® (ASA®) and CAE Healthcare released the third iteration of Anesthesia SimSTAT with a special focus on this new challenge. Anesthesia SimSTAT – Robotic Surgery examines how well participants manage a patient experiencing an anesthesia emergency during a robotic hysterectomy. The simulation presents potential outcomes and it’s up to the participant to navigate each scenario. The learner must formulate a differential diagnosis, rescue from unstable clinical conditions, resuscitation, frequent reassessment and other interventions. At the end of the course, participants will feel confident in their refreshed skills. Learners have been very engaged with Anesthesia SimSTAT, and an impressive 87 percent said they would recommend the course to a colleague. This excitement continues as Anesthesia SimSTAT was named a 2018 Power of A Silver Award winner; this recognition showcases how associations solve problems, advance industry and professional performance, kickstart innovation and improve world conditions. For additional information about the three courses, be sure to download the Anesthesia SimSTAT podcast from ASA and CAE Healthcare; it discusses the innovative thinking behind the product, and the benefits each scenario affords practitioners. This simulation activity has changed the way physician anesthesiologists learn and refine their skills, and will continue to enhance their education with two new scenarios launching in 2019—PACU and Labor and Delivery. To celebrate the launch of Anesthesia SimSTAT – Robotic Surgery, a special 10 percent discount will automatically be applied at checkout when purchasing all three courses—Trauma, Appendectomy and Robotic Surgery. Additionally, group discounts are available for practices, residents and internationals. Contact Nate Wicks at (847) 268-9214 or n.wicks@asahq.org to learn more.